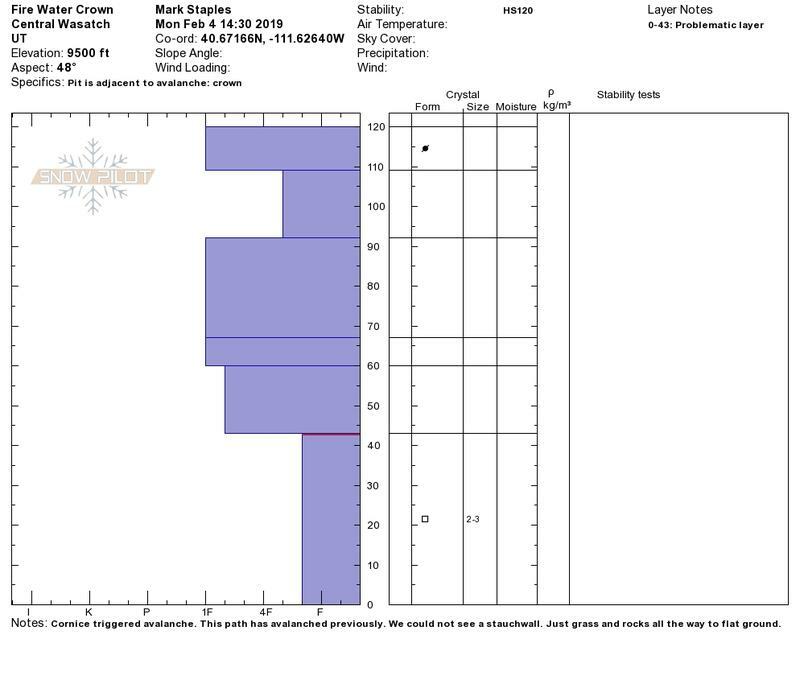 Profile at midpoint of crown. 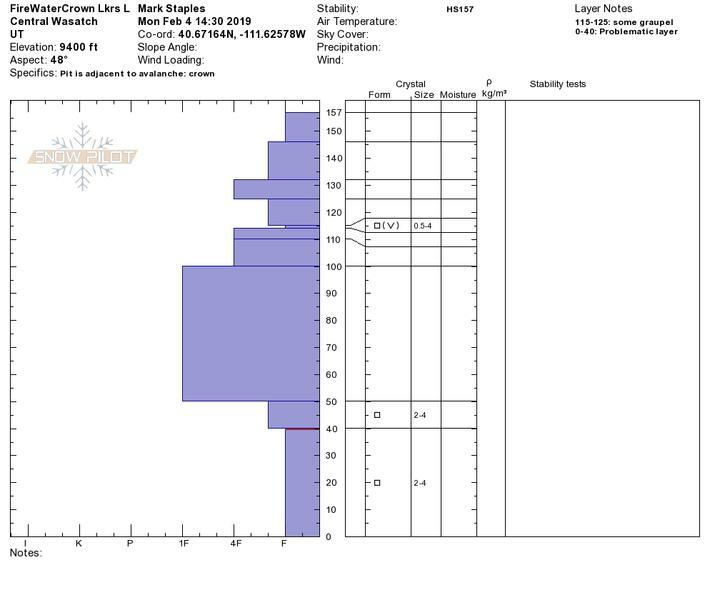 Profile from skier's right side further below. 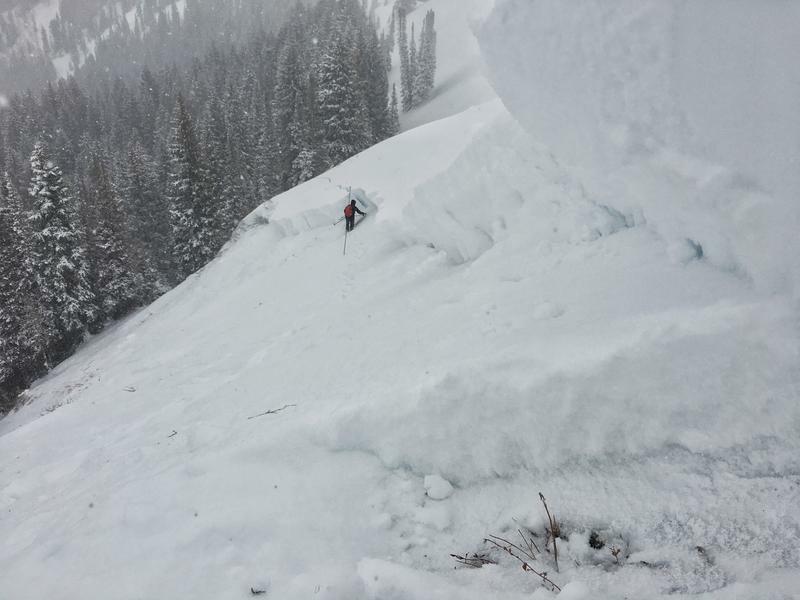 Unintentional cornice release triggered this avalanche to the ground. 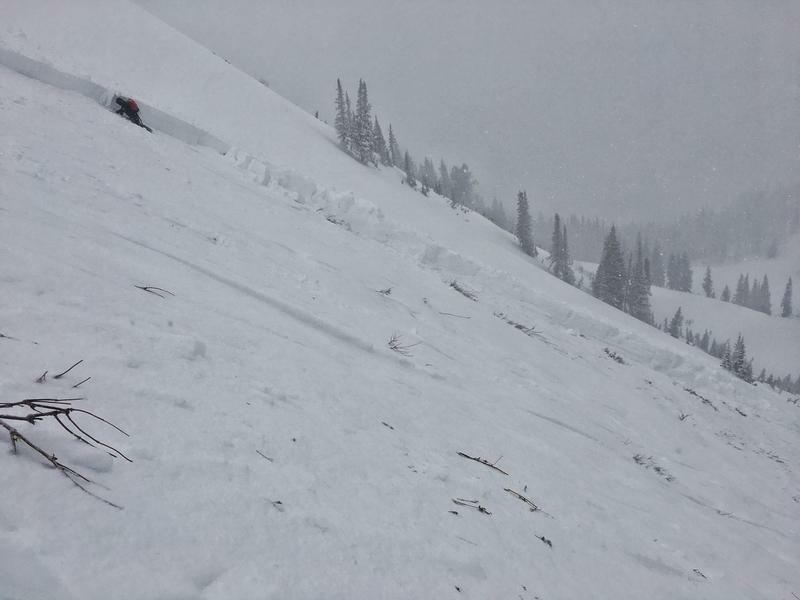 Cornice was perhaps 30' wide and triggered the 77-117 cm slab (30-46 inches) above faceted grains (repeater) which then propagated both to the east and the west with a total width of roughly 150' wide. 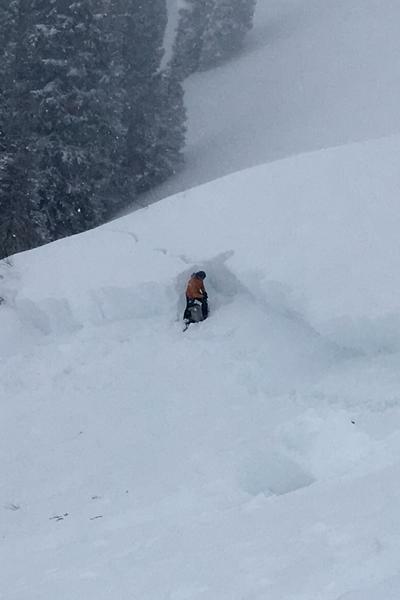 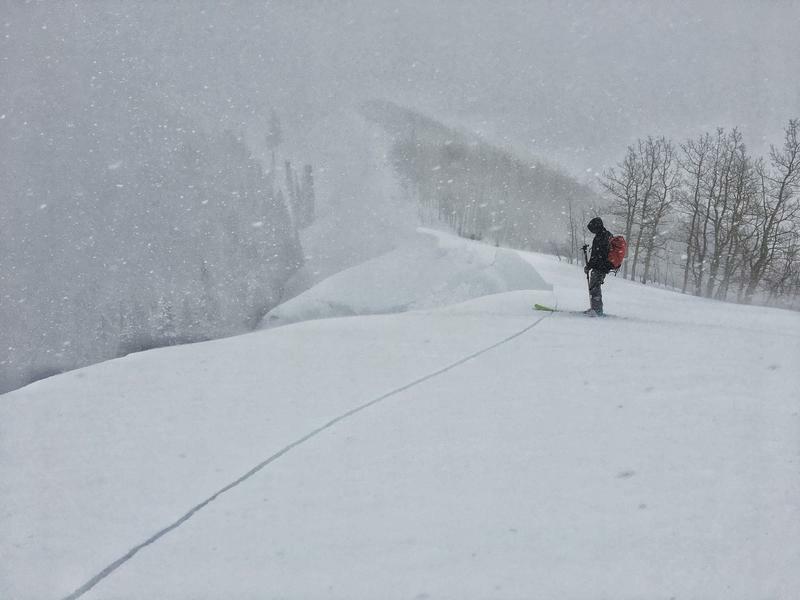 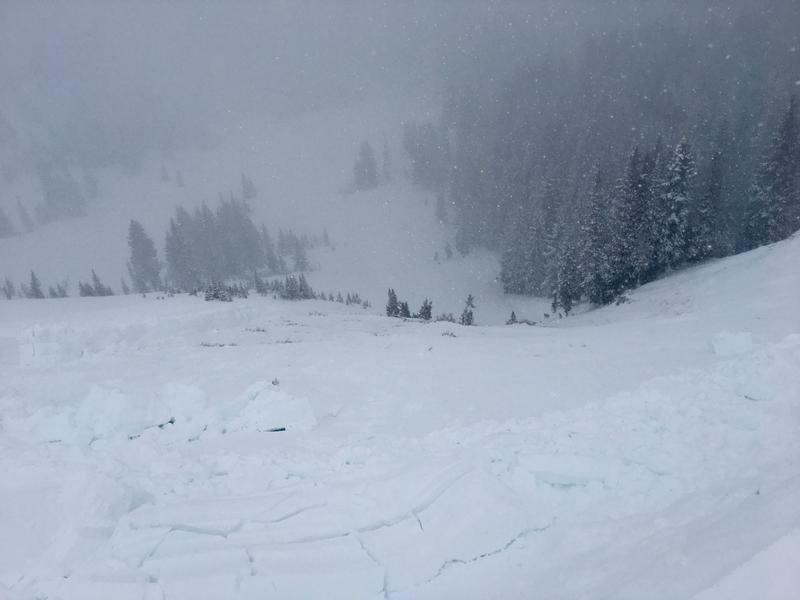 Avalanche propagated into much deeper snowpack areas toward the skier's right flank.